Yangon, 18 September 2015: Countries in Southeast Asia remain lacking in effective tax policies on tobacco. 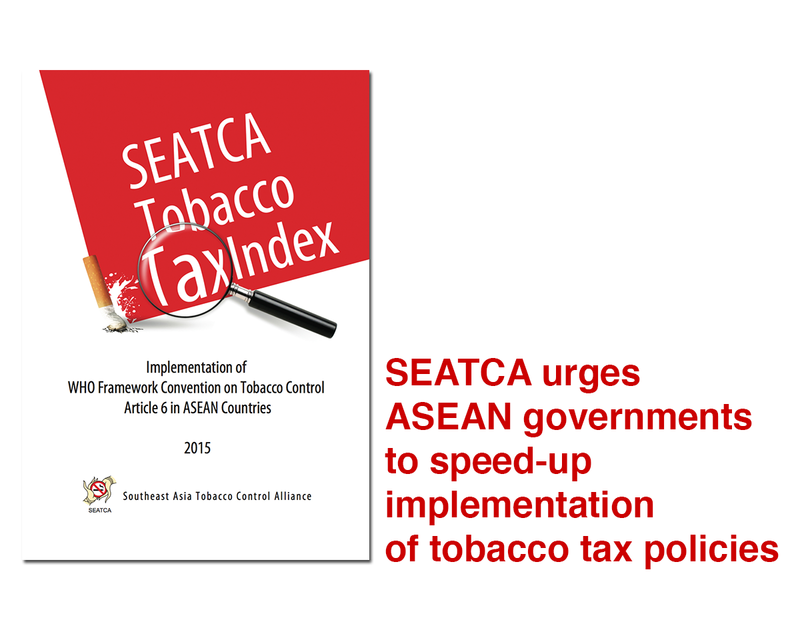 This is the main finding of the report ‘Tobacco Tax Index: Implementation of WHO Framework Convention on Tobacco Control (FCTC) Article 6 in ASEAN Countries,” released today by the Southeast Asia Tobacco Control Alliance (SEATCA). 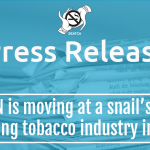 “The ASEAN region as a whole has moved at snail’s pace in implementing effective tobacco tax policies. Despite the global recognition that high tobacco taxes can reduce consumption and the tobacco-related disease burden while also raising government revenues, most countries do not have a long-term tobacco tax policy,” the report said. 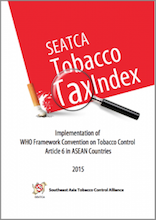 The world’s first Tobacco Tax Index by SEATCA assesses the progress in ASEAN countries of price and tax measures to reduce tobacco use in line with the international implementation guidelines for Article 6 of the World Health Organization’s Framework Convention on Tobacco Control. This assessment can help governments identify and close gaps in order to strengthen and hasten the implementation of their tobacco tax policies. Most ASEAN countries require fiscal markings, such as tax stamps, but no country uses them in a tracking and tracing system. “To effectively regulate the tobacco industry in line with international best practice, governments should require the tobacco industry to periodically submit detailed financial reports that include information on tobacco manufacture and sales volumes, market share, marketing expenditures and revenues, and volumes of raw material inputs,” said Ms. Sophapan Ratanachena, SEATCA’s Tobacco Tax Program Manager. Noting the tobacco industry’s constant interference and opposition to tobacco tax increases, SEATCA’s FCTC Program Director, Dr. Ulysses Dorotheo, added that “a code of conduct for all government officials prohibiting unnecessary interactions with the tobacco industry is essential to successfully develop and implement effective tobacco tax policies.” The Philippines is leading in this respect with the Joint Memorandum Circular No. 2010-01 issued by its Civil Service Commission (CSC) and Department of Health (DOH). Reducing affordability through higher tobacco taxes is one of the most potent and cost-effective strategies to reduce tobacco use and save lives, encouraging current users to stop or reduce consumption and discouraging the youth from starting. The positive health impact is even greater when governments consider dedicating tobacco excise revenues for tobacco control in their respective countries such as in Thailand and Vietnam.